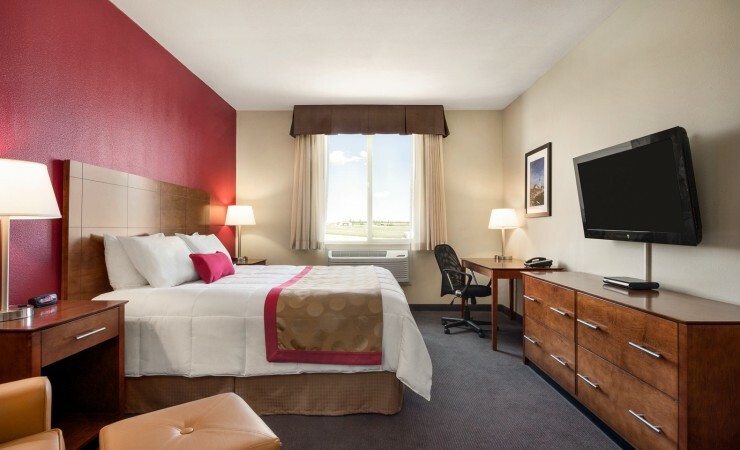 At Ramada Williston Airport XWA, comfort always comes first because we know that a plush, pillow-top mattress is the first step to restful sleep. Our spacious and modern guest rooms feature everything you need to relax and unwind after a busy day working or enjoying the region’s top-notch fishing, hunting and golf. Large closets and dressers provide extra space for extended stays, while desks and ergonomic chairs create a comfortable and efficient setting for tackling late-night emails. 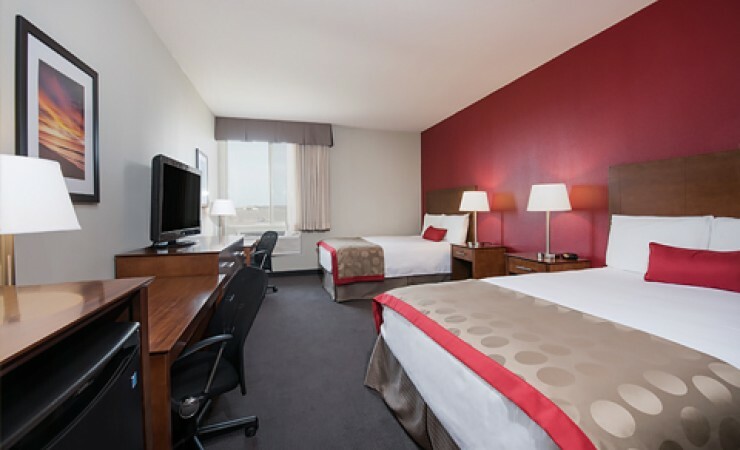 Our attractive One King guest room is furnished with a king bed with a warm wood headboard and pillow-top mattress. Spacious and modern, our Two Queen guest room is furnished with two queen beds with warm wood headboards and pillow-top mattresses. 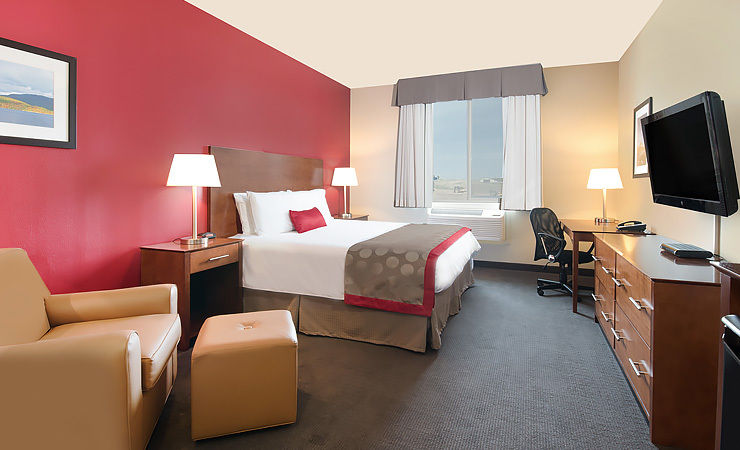 Our One King Bed Accessible guest room features one king bed with a warm wood headboard and pillow-top mattress. The bathroom is equipped with a roll-in shower, bathroom rails and grab bars. The hotel’s Two Queen Accessible guest room is furnished with two queen beds with warm wood headboards and pillow-top mattresses. The bathroom has a roll-in shower, bathroom rails and grab bars.